Miss Steer Sep 23, 2018 Nov 6, 2018 Happy 2018: 365 days of Happy! One of the earliest blogs that I wrote this year encouraged readers to indulge in some ‘crap art’, which essentially is art that you can be immensely proud of, even when your other half has no taste! So… about 2 months back, I paid just £12.50 to go on a ‘Green Man’ clay-making workshop, dragging my long-suffering sister along. Just because – why not?! 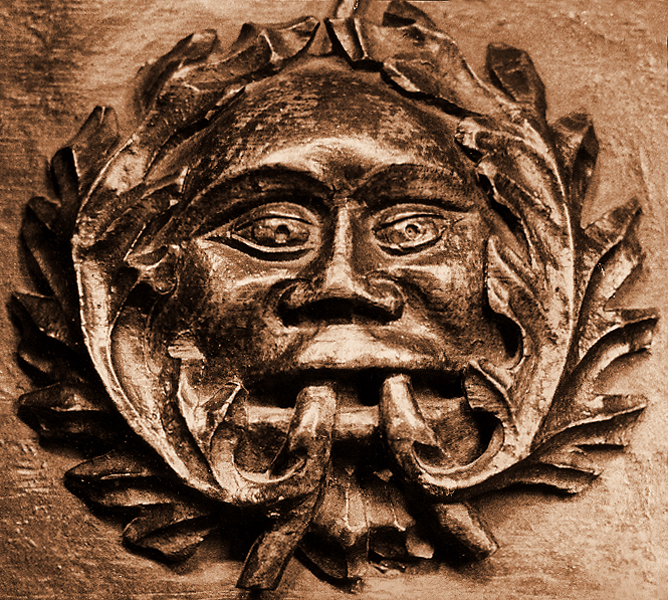 A Green Man is any kind of a carving, drawing, painting or representation which shows a head or face surrounded by, or made from, leaves. These symbols can be traced back as early as Roman times and although there are many different interpretations of their meaning, they are generally thought to represent life, aging and death, as an essential part of nature. The lady running our workshop said that the more leaves on the figure, the older or closer to death the figure is thought to be. Yep. My guy here is literally drowning in leaves, trying to claw his way out. I guess he’s keen to fight the aging process?! This week, I finally got around to painting him. Then sticking him back together, armed with my trusty glue gun. Broken fingers and misaligned arms tell the story of the nightmarish battle that this was. Very few thoughts came into my mind. It was essentially a creative form of mindfulness-based meditation. And now, my Green Man can sit nicely on the ‘Crap Art’ shelf, for me to admire! This dude means way too much to me to care what anyone else thinks. We’ve been through so much y’ know?! Wherever your interests lie, make sure you take the time now and then to get off the couch and do something totally different. Doing something new that requires you to concentrate is good for the brain. And who knows… you might even get some new ornaments out of it! Previous Happy 2018 – Day 265 – “If you don’t like it, tough”…. Really? Next Happy 2018 – Day 267 – What fills your bucket?